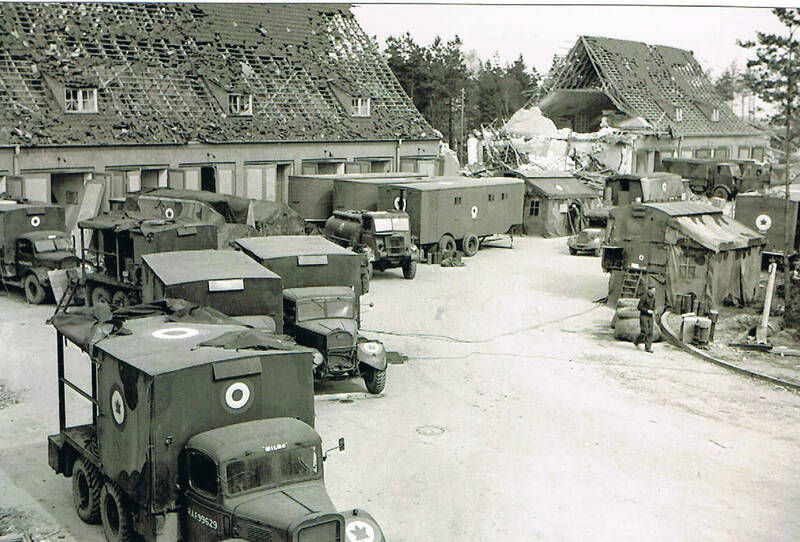 I have two photos of a vehicle park somewhere in Germany 1945. 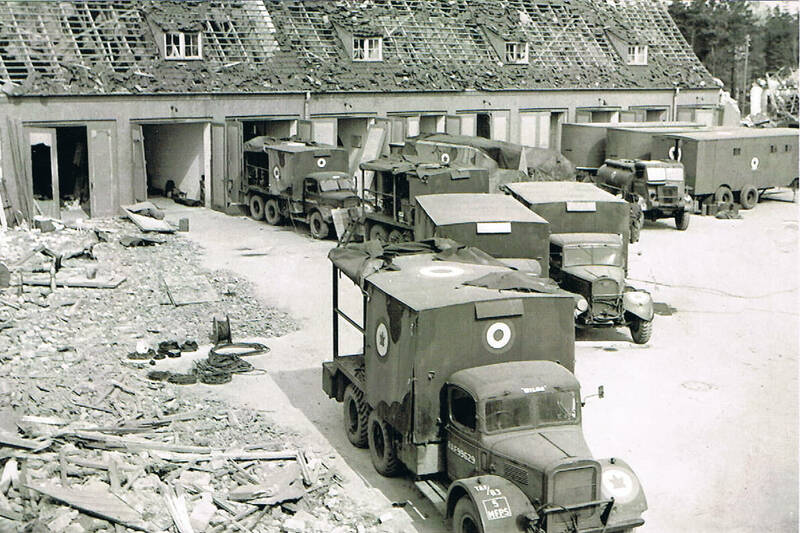 All trucks are from 5 MFPS RCAF. I would love to share if interested. All the pictures of other trucks on this blog except those two are on this post. He returned to Canada and graduated from University of British Columbia, B.Sc (Zoology) with honors in 1949, McGill University medical school in 1953, and from Ophthalmology training at Wayne State University and Henry Ford Hospital in Detroit in 1958. Al and Peggy opened medical practices in Vancouver in 1959 in an office they shared together until their retirement in 1989. During his years of practice, Al was associated with UBC/VGH Department of Ophthalmology as Clinical Professor devoting time to clinical teaching, developing the Neuro Ophthalmology program at UBC and to serving as an examiner for the Royal College of Physicians. Al loved the outdoors and he and Peggy actively spent time on Saltspring Island, on their boat in B.C. and travelling in other parts of the world. Following retirement, Al and Peggy moved to Saltspring where they built their retirement home and they greatly enjoyed retirement with their extended family. Thanks go out to his doctors and the staff at Eagle Ridge Manor in Port Moody, B.C. where he spent the final stage of life and special thanks go to Dr. Tony Wilson, Dr. Saul Isserow and to Dr. Christine Todorovic. 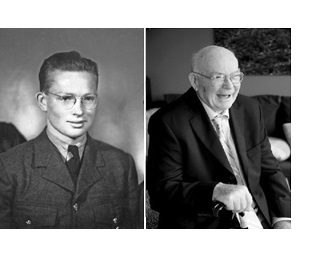 A memorial service will be held Saturday, August 24, 2013 at 1:30 p.m. at St. Mark’s Church, 961 North End Road, Saltspring Island, B.C. and a gathering of friends to celebrate Al’s life will also be held in Vancouver from 1:00pm to 4:00pm on Sunday, September 15, 2013 at Royal Vancouver Yacht Club at 3811 Point Grey Road, Vancouver, B.C. In lieu of flowers, donations to the Walter George Johnston research fund (UBC faculty of medicine) #P128, or the Saltspring Island Foundation named fund would be welcome. Dr. Albert Johnston was a very talented and remarkable human being. 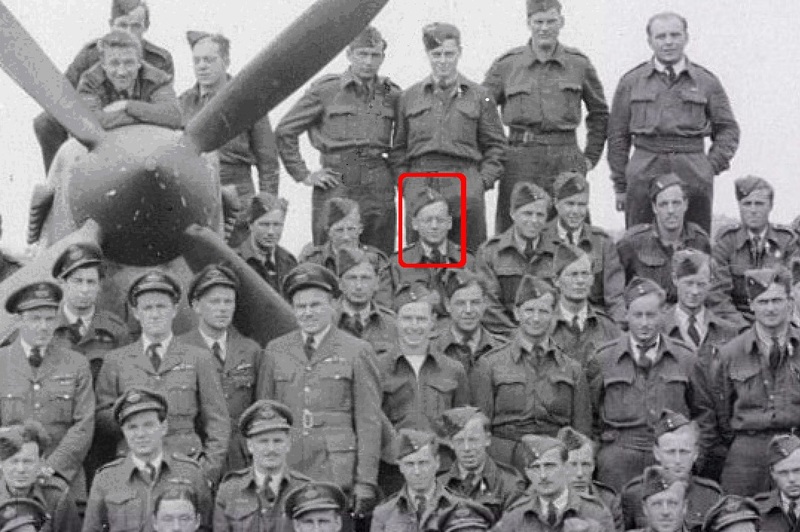 The ERK wearing the glasses is very prominent in a lot of my dad’s war pictures. I’m no expert, but I think Dr. Albert Johnston may be in some of these pictures. 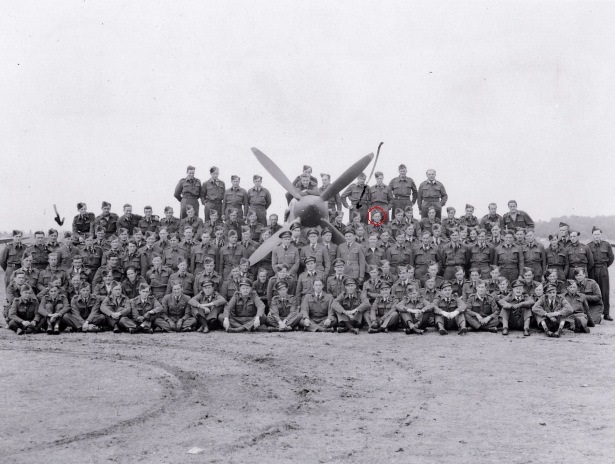 Wouldn’t it be nice if you readers could identify more of these airmen. 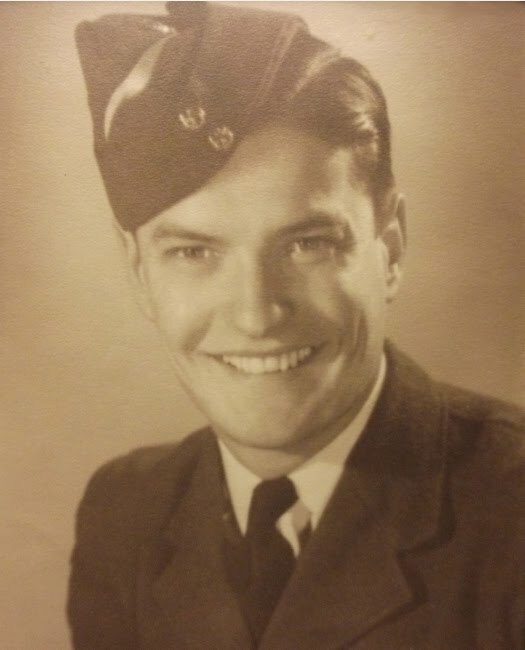 This airman was with 419 Squadron. He is listed on Dan Logan’s Website. 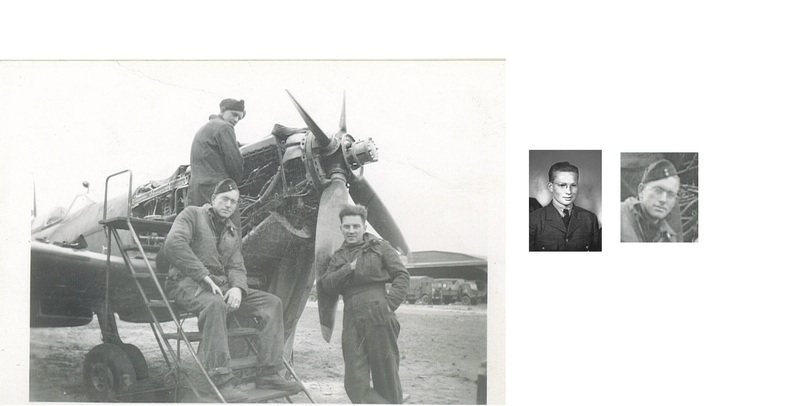 But there is still another impressive Website paying homage to this airman. While researching Leslie Sydney Ford’s military career I was unable to find out who Phyl Marie was. This was the name painted on his Spitfire BM 344 while he served as the 403’s Squadron Leader during the Dieppe raid and the last few months of 1942. Would anyone know who Phyl Marie was? More about Syd Ford on this Website. FORD, F/L Leslie Sydney (J3712) – Distinguished Flying Cross – No.175 Squadron – Award effective 9 June 1942 as per London Gazette dated 26 June 1942 and AFRO 1000-1001/42 dated 3 July 1942. Born Halifax, Nova Scotia, 30 December 1919. Home in Liverpool, Nova Scotia. Attended Acadia University for three years. Enlisted in Halifax, 21 June 1940 (possibly 21 January 1940). Trained at No.2 ITS, No.8 EFTS and No. 4 SFTS (graduated 28 January 1941; awarded wings that date). 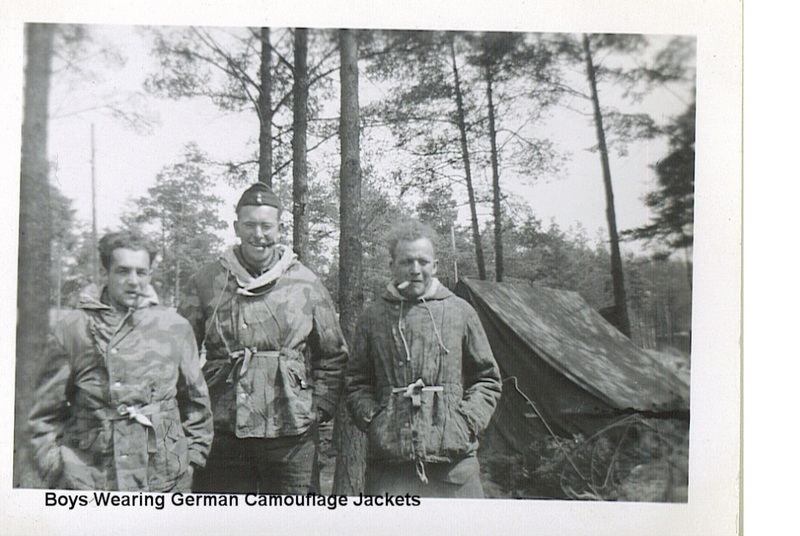 Posted overseas in February 1941; further trained at No.52 OTU, March and April 1941.. Served with Nos.403 Squadron, 21 April 1941 to 12 September 1941; No.402 Squadron, 21 September 1941 to January 1942; No.175 Squadron, 6 February 1942 to 9 July 1942. Returned to No.403 Squadron as “B” Flight Commander, 19 July 1942; became Commanding Officer on 13 August 1942. 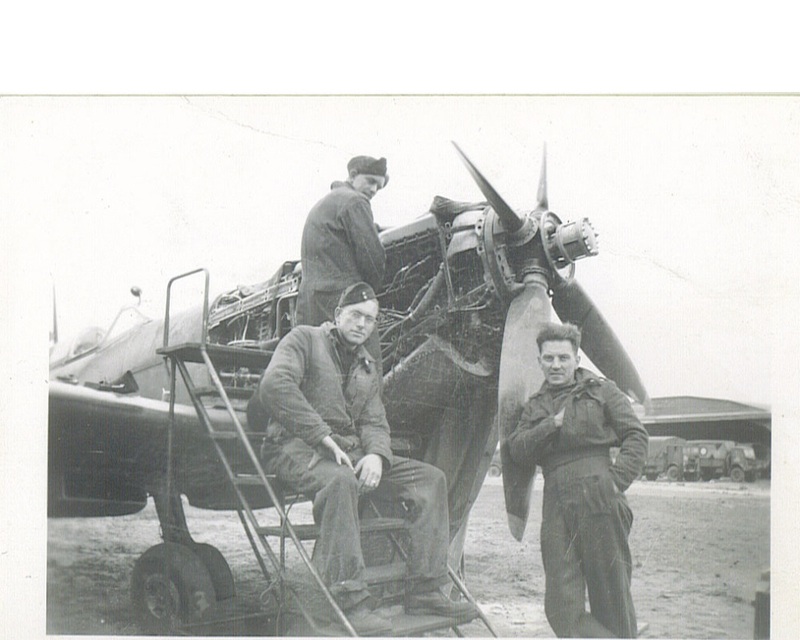 Posted to Digby as Wing Commander (Flying), 19 April 1943. Killed in action, 4 June 1943 attacking enemy shipping off Dutch coast; with four pilots of No.402 Squadron attacked three E-boats and was shot down into sea. Credited with with following aerial victories: 27 September 1941, one Bf.109 damaged (Hurricane Z3349, shared with another pilot); 19 August 1942, two FW.190s destroyed (Spitfire BM344); 15 February 1943, one FW.190 destroyed (Spitfire BS474); 27 February 1943; one FW.190 destroyed (BS474); 27 February 1943, one FW.190 destroyed (BS474); 13 March 1943, one FW.190 destroyed (BS474); 3 April 1943, one FW.190 destroyed (BS474); 4 April 1943, one FW.190 destroyed (BS474). This officer has carried out many operational missions, having been engaged in fighter sweeps and in bombing attacks on land and sea targets. He has participated in two attacks when two mine sweepers and an enemy destroyer were sunk and two destroyers were damaged. He is a keen and zealous flight commander and leader. FORD, S/L Leslie Sydney (J3712) – Bar to Distinguished Flying Cross – No.403 Squadron – Award effective 16 September 1942 as per London Gazette dated 2 October 1942 and AFRO 1653/42 dated 16 October 1942. On August 19th, 1942, this officer led his squadron in support of the combined operations against Dieppe with great skill. 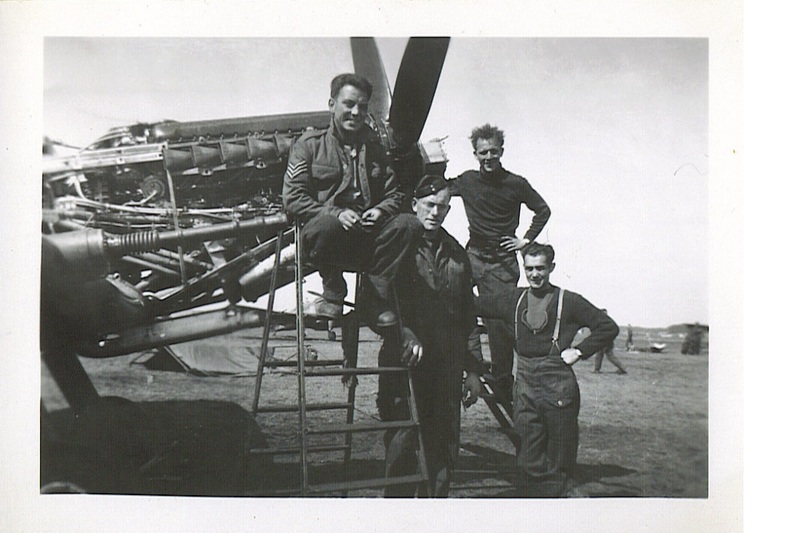 Several enemy aircraft were destroyed, two of which were shot down by Squadron Leader Ford. Throughout, his inspiring example instilled great confidence in his fellow pilots. NOTE: Public Records Office Air 2/8769 has recommendation for a Croix de Guerre dated 20 January 1943 stating about the same as above. Although it was went right through to Fighter Command Headquarters, it was not approved at Air Ministry level, either because the deed had already been covered by the Bar to the DFC or because of Ford’s death in action. Several other pilots were recommended for the Croix de Guerre following the Dieppe Raid and ended up with Mentions in Despatches (see H.H. Hills, R.C. MacQuoid and M.B. Pepper).